Ryanair passengers flying from Dublin, Shannon and Cork were diverted to London Gatwick and East Midlands Airport. STANSTED AIRPORT WAS closed to all incoming flights for a period this morning due to low visibility and a technical problem with the landing system at Stansted. The problem has now been resolved and flights are landing as normal but not before the disruption caused a number of Ryanair flights from Dublin, Shannon and Cork to be diverted elsewhere. 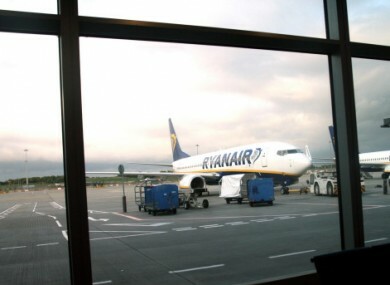 This morning’s Ryanair flight from Shannon was diverted to East Midlands Airport, the 07.05am flight from Cork was diverted to London Gatwick while the 09.30 am flight from Dublin was also diverted to East Midlands. BBC News are reporting that the techincal problem was caused by a Gulfstream G550 jet damaging part of the airport’s instrument landing system. Email “Irish passengers diverted from Stansted Airport after technical problem ”. Feedback on “Irish passengers diverted from Stansted Airport after technical problem ”.